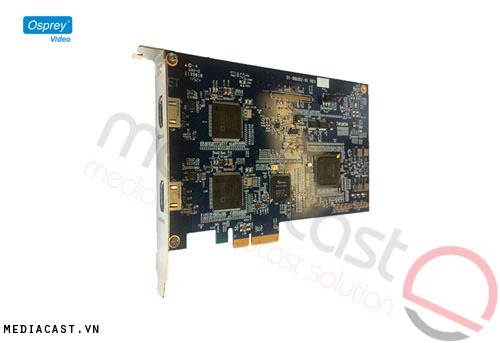 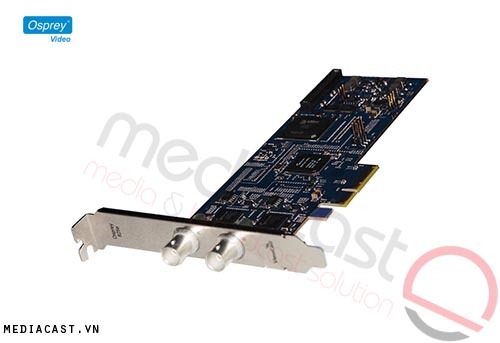 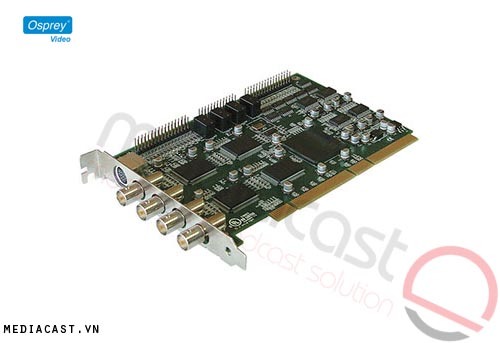 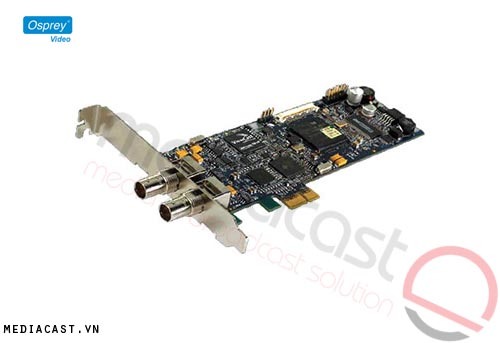 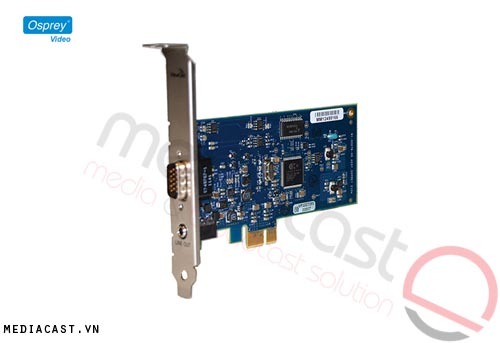 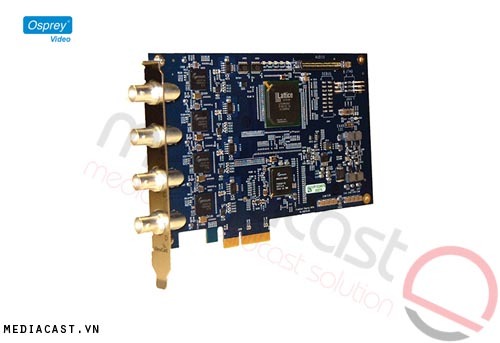 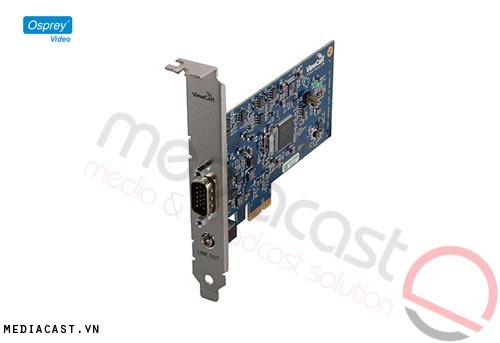 The Osprey 210e Analogue Video Capture Card is a simple PCIe video interface for capturing and streaming composite, S-video, and unbalanced analogue audio. 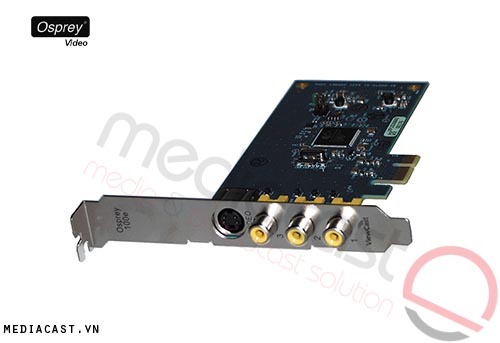 When used on the Windows platform, the provided driver enables the card to interact with streaming and video-on-demand (VOD) applications written for the Microsoft DirectShow API, such as Silverlight. 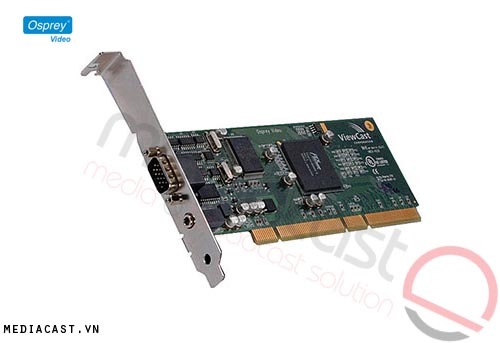 For Linux users and developers, open source drivers are available from the usual repositories. 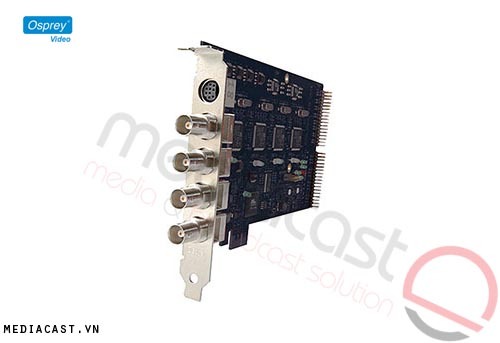 The included breakout cable has connections for Composite BNC and S-video, and a supplied adapter enables the connection of an RCA composite source. 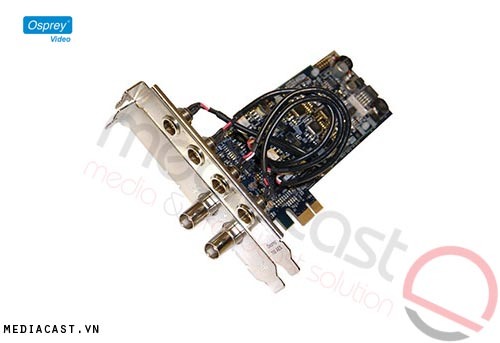 Audio comes into the breakout cable via either stereo RCA or stereo 3.5 mm mini jack.